For once, Google was unlikely to face privacy complaints as the US Internet giant on Tuesday launched its Street View service in Kenya’s Samburu park, in a move conservationists said could help protect endangered elephants. Special cameras have taken panoramic images of the reserve while driving down dusty tracks – and have also been fixed to a backpack to penetrate deep into the bush. Some of Google’s previous Street View forays have brought complaints on privacy grounds. But this time there were no demands to blur out faces – the main residents of the 165 square kilometre reserve are 900 elephants. The idea is to allow viewers to click and view the elephant herds close up. “We hope that by bringing Street View to Samburu, we will inspire people around the world to gain a deeper appreciation for elephants,” said Farzana Khubchandani of Google Kenya. Slightly larger than a basketball, Google’s camera contains 15 individual fixed-focus lenses that simultaneously capture a 360 degree image roughly every three metres. The Kenya project was launched in collaboration with conservation group Save the Elephants. “It’s exciting to open a window onto Samburu, and to help us better protect its elephants,” said Save the Elephants chief Iain Douglas-Hamilton, speaking in Samburu, some 300 kilometres north of the Kenyan capital Nairobi. Kenya is struggling to stem poaching to protect its remaining elephant population – currently estimated at 30 000 – and just over a thousand rhinos. With ivory raking in thousands of dollars a kilo in Asia, conservationists have warned that African elephants could be extinct in the wild within a generation. 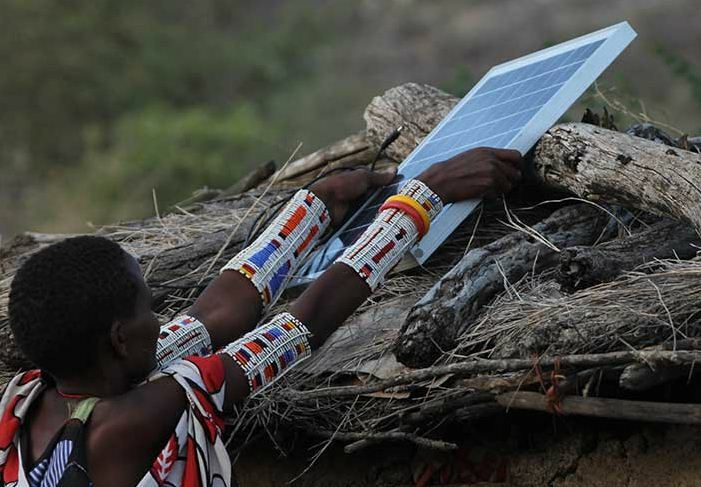 “Giving people a virtual tour will bring Samburu to the world, and inspire the world to come to Samburu,” county governor Moses Lenolkulal said. When a fire razed East Africa’s biggest second-hand clothes market in Nairobi last week, the deputy president, William Ruto, rushed to the scene to assure traders that the government would do everything to help them to rebuild their destroyed stalls. But perhaps a more important question Ruto should have answered is whether Gikomba market will be in business a year from now if a proposed ban on the importation of second-hand clothes into east Africa is approved. In January, east African head of states suggested that Kenya, Uganda and Tanzania should stop importing used clothes in an effort to revive the local textile industry. Kenya alone imports around 100 000 tonnes of second-hand clothes, shoes and accessories a year – many of which were originally donated to charity shops in the west. According to Oxfam, more than 70% of the clothes donated globally end up in Africa. This second-hand clothes chain sees, for example, a Forever 21 dress once worn by a young woman in London find its way into the wardrobe of a university student in Kenya. University of Oxford sweatshirts, I love London T-shirts, hoodies emblazoned with the star spangled banner or the Union Jack – and even the Confederate flag – are common wear for people who have never set foot in the UK or the United States. But if the ban goes through, Kenyans will be compelled to buy locally produced clothes, giving textile manufacturers a chance to reclaim the market they lost to cheap imports from abroad. The decline of Kenya’s textile industry dates back to the early 1980s, when market liberalisation policies spearheaded by the World Bank opened up the local economy to second-hand clothes. Previously, they had been distributed for free among the poor. But the superior quality and originality of the clothes soon caught the eye of the young urban population, creating a demand that led to the collapse of many of Kenya’s once robust textile companies, among them Rift Valley Textiles (Rivertex) and Kisumu Cotton Mills (Kicomi). According to local media reports, 500 000 people were employed in the textile industry in the 1980s. Today, that number has fallen by more than 96% to around 20 000. Banning the importation of used clothes is the government’s latest effort to save an industry that is all but extinguished – and is intended to try to recover some of those lost jobs. But, paradoxically, a ban could devastate another group of Kenyans who depend on the second-hand clothes trade to make a living. William Ng’ong’a, who sells used clothes at Gikomba, is aware of the possible ruling that could destroy the business his family has spent the past two decades building. “I am in this business with my parents, I joined them 10 years ago just after finishing university. It’s the only work I know,” he says. Ng’ong’a says the business imports an average of two containers of clothes a month, for which they pay £16,700 in tax. The containers are offloaded from ships at the port town of Mombasa from where they are transported by road to Gikomba market. Gikomba is the ground zero of second-hand clothes in Kenya, and it’s from here that merchandise is redistributed to retailers all over the country. Unapologetic for its mess of noise, dust and a confusing maze of timber, iron sheets and cardboard stalls, clothes hang from the stalls in a wild cacophony of colour and design. If the clothes are not on hangers, they are bundled into giant heaps which the sellers invite buyers to burrow into to find what they are looking for. Often, the best dresses or blouses are buried at the bottom of the pile. Buyers and sellers jostle for space in the cramped, often muddy, lanes, where the set price of goods is usually so low that it is ridiculous to bargain for anything cheaper. Even so, the more industrious sellers can be heard shouting themselves hoarse, advertising bargains designed to lure even the most reluctant of buyers. Gikomba pulses with a spirit borne of genuine camaraderie: conversation and laughter punctuate the exchanges between the buyers and sellers. It is a glorious, chaotic ecosystem that has survived catastrophe after catastrophe, including a terror attack in May last year that killed 12 people and more fires than the traders can count. Ng’ong’a says he directly employs 15 people, most of whom are casual labourers, and is afraid that they might all be left without a source of income if the East Africa Community goes ahead with the ban. “I have a degree in commerce which I have never used, but I might be forced to fall back on it if the ban goes through. I am not particularly excited to have to join the overcrowded job market and become a paper pusher because I really love this job,” he says. And paid employment of another kind is unlikely to match his current earnings: Ng’ong’a reveals that each container imported at £38 574 brings in a profit of over 90%. Charles Kuria’s store is one floor above Ng’ong’a’s. It is bigger, and filled floor to ceiling with bales of clothes. Kuria has had this store for almost two years, but he has been in the businessmuch longer, starting from the bottom as a hawker selling a few pieces on the streets to a big time wholesaler who now only sells in bales to retailers. He imports his stock directly from the UK, the US, Canada and Belgium. Although Kuria is reluctant to discuss his profit margins, he admits to living a comfortable life where money has ceased to be a worry. His is a business that has a sizeable staff, with four people employed permanently and up to 20 casuals each time new stock comes in. He says the real casualties of a ban would be the casual workers who depend on odd jobs to earn a living. “If these people are deprived of an opportunity to make honest wages, they might turn to crime and contribute to making Nairobi an unsafe city,” says Kuria. Former Kenya Association of Manufacturers boss Betty Maina is cognisant of the risk that comes with cutting off the second-hand clothes business without a fall back plan for the hundreds of thousands it employs. In an article for a local media company, Maina says that it is possible to grow the local textile industry without taking jobs from the people who need them the most. “Granted, the ‘mitumba’ sector is a source of employment and many people earn their livelihood from the business. Measures that would shut down the flourishing trade at a go would not be very welcome. “But why not streamline activities in the sector in such a way that the local textile industry is able to reap the benefits of providing quality products at an affordable price and at the same time providing thousands of jobs directly and millions more in downstream activities?” she asks. 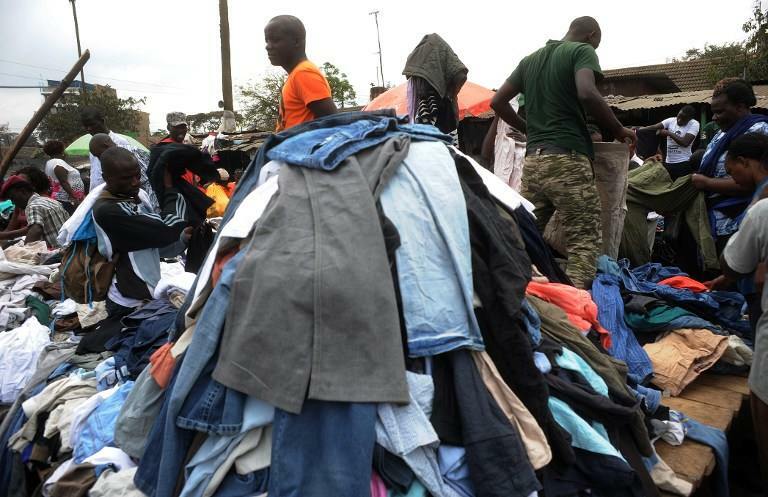 The thousands involved in the second hand clothes trade will know their fate once the East Africa leaders meet for the November summit, during which the issue is expected to come up. In the meantime, it remains to be seen how the government will walk the tightrope of reviving the local textile industry without annihilating Gikomba – and the people that thrive on it. Aspiring politician Asha Salum is busy trying to convince people in her area of Dar Es Salaam to support her candidacy for a council position at elections later this year, one of a growing number of women seeking political office in Tanzania. The softly-spoken politician, who at the age of 31 is the youngest candidate for this post in Tegeta in Kawe constituency in 20 years, is one of a new generation of women being groomed to muscle into the male-dominated political world. The East African nation of about 50 million people has had few women in top leadership positions since adopting a multi-party system in 1992 but female campaigners are hoping to change this at the nation’s fifth general election on Oct. 25. Salum is one of 2 600 aspiring female politicians to receive training which started this week from a coalition of non-governmental organisations (NGOs) in Tanzania on how to improve their campaigning skills and avoid the sexual pitfalls often faced by Tanzanian women in any bid to advance a career. “Some women are easily tempted to offer sexual corruption to officials so their names are considered for nomination,” Salum told the Thomson Reuters Foundation, adorned in the traditional green and yellow of the ruling Chama Cha Mapinduzi (CCM) party. “How many men you will need to sleep with to win a parliamentary or councillorship seat? I think now is the time to say enough is enough to ‘sextortion'”. The training, organised by the Tanzania Women Cross Party (TWCP), aims to equip female candidates vying in October for presidential, parliamentary and council positions with political skills and techniques. According to training organisers, the candidates will receive training about topical political issues surrounding the elections, the role of parliament and local councils, and relevant election law rules and regulations. Four female candidates have expressed interest in running for president on the CCM ticket, including the former Deputy Secretary-General of the United Nations, Asha-Rose Migiro. This is the first time in Tanzania that women have come forward seeking nomination for the presidential job. “By implementing the party’s manifesto I will build an independent and modern economy to benefit all Tanzanians,” said Migiro on collecting her nomination form this week. Migiro, a lawyer by profession, worked at the United Nations under Ban Ki-moon from 2007 to 2012 and has become the 12th Tanzania cabinet minister to express interest in succeeding President Jakaya Kikwete who is due to retire later this year. Tanzania has tried to ensure substantial political representation of women with a quota system defining 30 percent of the 357 seats in Parliament as “special seats” reserved for women. Political parties that gain at least 5 percent of the vote in the general election nominate these women. But women’s rights campaigners are concerned most of the women in Parliament are in quota seats and not elected directly from constituencies which limits their support for the top jobs. Campaigners are concerned that women lack the skills, education and experience to carve out a successful career in politics and many lack the financial security to be able to focus on politics rather than the basic needs of their families. A recent Afrobarometer survey also found that violence in African politics may discourage female participation. “There’s no democracy in the political parties. Female candidates are often ignored in the nomination process and that’s why we need to train them to reverse that unfair trend,” Ave Maria Semakafu, the chairwoman of TWCP told the Thomson Reuters Foundation. Although the number of female legislators rose to 35 percent at the 2010 election from 21.5 percent in 2000, rights groups says it not enough as only 17 were elected from constituencies. Willibrod Slaa from the opposition Chadema party and vice-chair of Tanzania Centre for Democracy, said action was needed. “No serious party can any longer ignore that women constitute 51 percent of this country and we simply need to be much better at including them in politics,” he told the centre’s annual conference earlier this year. Despite the challenges, women’s participation in politics has improved in most African countries in the past two decades. Malawi recently swore in its first female president, Joyce Banda, and Liberia’s President Ellen Johnson Sirleaf has occupied her country’s highest office since 2006. Rwanda leads the world in the share of female legislators at 63.8 per cent of the seats, according to United Nations data. Senegal, the Seychelles and South Africa have more than 40 percent, and Mozambique, Angola, Tanzania and Uganda are not far behind with women in about 35 percent of parliamentary seats. Salum said she was confident the training would boost her chances to win a seat in October on her own merits. “I have what it takes to serve my people and solve their problems as existing leaders have failed to do so,” she said. A top Burundian general launched a coup attempt against President Pierre Nkurunziza on Wednesday, bringing to a head weeks of violent protests against the president’s bid to stand for a third term. General Godefroid Niyombare, a powerful former intelligence chief who was sacked earlier in the year, announced via a private radio station that the president had been overthrown hours after he left for neighbouring Tanzania for talks with regional leaders. The presidency, however, said in a brief message on Twitter that the coup had “failed”. Pro-Nkurunziza troops were still in control of key institutions including the presidential palace and state broadcaster, witnesses said, and fired warning shots to stop demonstrators from marching on the state television and radio building. Over 20 people have been killed and scores wounded since late April, when Burundi’s ruling CNDD-FDD party nominated Nkurunziza to stand for re-election in June 26 polls. 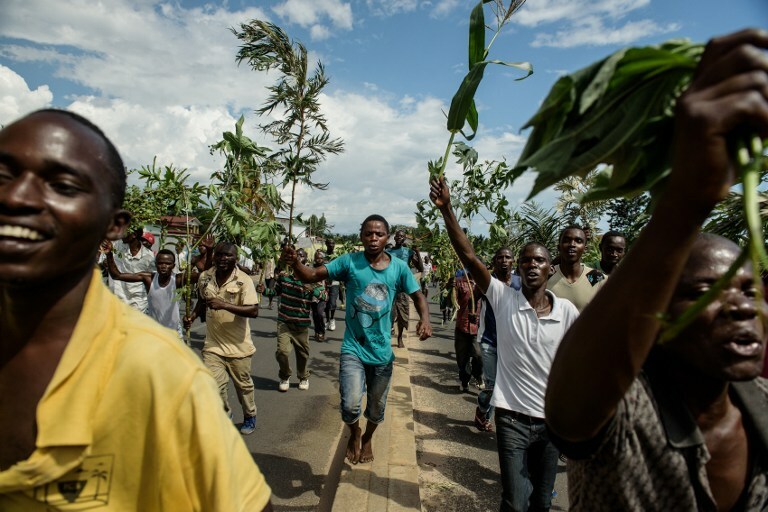 The clashes between security forces and demonstrators have raised fears of a return to widespread violence in Burundi, which is still recovering from a brutal 13-year civil war that ended in 2006 and which left hundreds of thousands of people dead. 1. It’s becoming a good place to set up a business! Since 2012, it has been possible to register a new business in the country in one day, and for less than $30. The country has made major gains on the World Bank’s Ease of Doing Business ranking and is now regarded as one of the world’s star economic reformers. This year it placed 140th, from 157th in the 2013 ranking. It has notably jumped 72 places in the ease of registering property, and also made gains in the trading across borders indicator. 2. Urban beaches. Lonely Planet says that Bujumbura’s Lake Tanganyika beaches are some of the best urban beaches of any landlocked country in Africa.The stretch of beach that lies about 5km northwest of the capital is the most beautiful and used to be known as Plage des Cocotiers (Coconut Beach). 3. 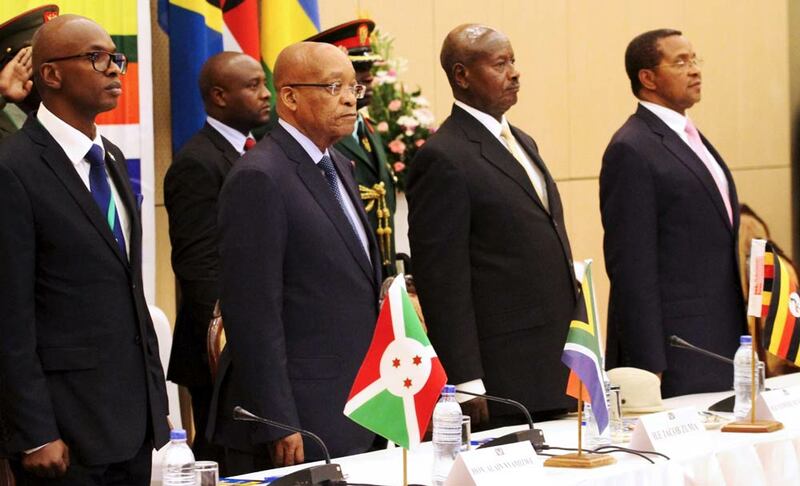 Burundi was the first country, along with Sierra Leone, to be put on the agenda of the UN Peacebuilding Commission. It was stablished in 2006, to ensure that countries once ravaged by war do not relapse into bloodshed. Burundi has seen 40 years of armed violence and civil war since gaining independence from Belgium in 1962. The conflicts, rooted in political and historical tensions between the ethnic Hutu majority and Tutsi minority populations, have killed more than 300,000 people. 4. The country is developing a Bujumbura City Master Plan to counter population growth and the attendant pressure on public utilities. Its partners on the project, that would bring in order to a cluttered environment, include the United Nations Development Program, and Singapore. The country is also looking to link the capital city to Kenya’s coastal town of Mombasa to make it easier to trade, using a 1,545km corridor. 5. Burundi was the first country in the East African Community to issue e-Passports. The country introduced the new biometric passport in March 2011. 6. Burundi is one of the most youthful countries in the world. 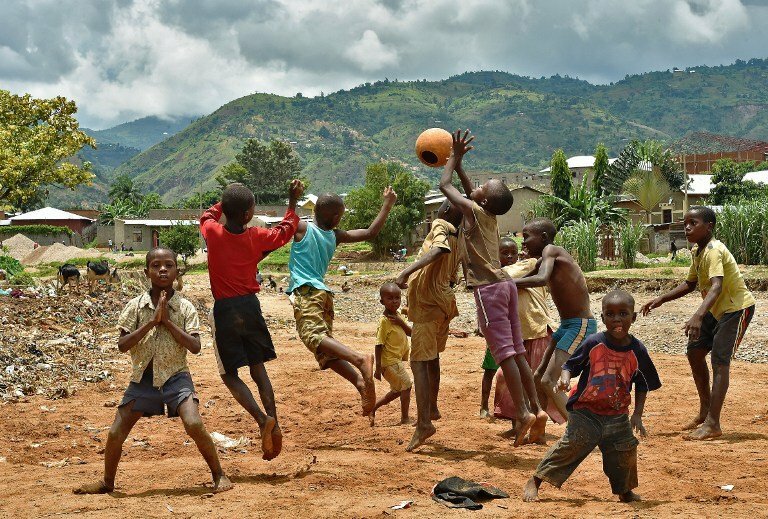 In 2014, with an estimated 45.7% of the population under the age of 15, Burundi comes in 7th in world rankings. 7. Even though it’s a landlocked country, fishing is a very important sector representing about 1% of the GDP. Fisheries in Burundi are dominated by Lake Tanganyika which it shares with the Democratic Republic of the Congo (DRC), Tanzania and Zambia. The waters under the jurisdiction of Burundi make up about 8% of the lake and are restricted to the northern coastline. 8. Burundi is one of the most attractive African markets for telecoms investors. Mobile penetration is at around 33% (mid-2014), standing at only about half the regional average – lots of room to grow. This post was first published on MG Africa.